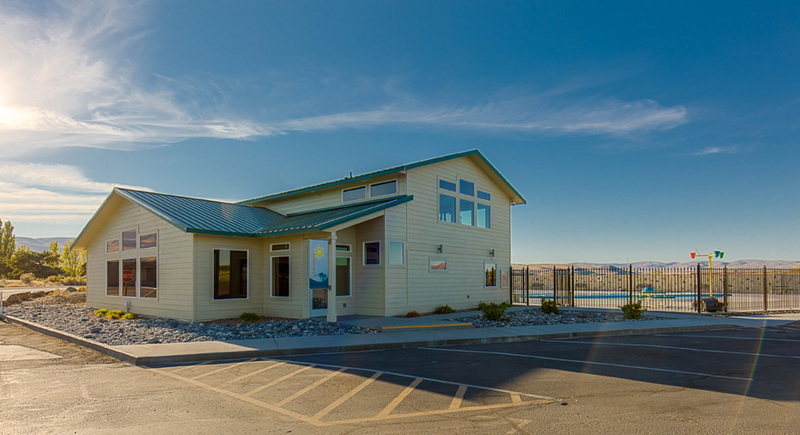 The new Desert Aire Recreation Center and swimming pool opened to members and guests in May 2015. It includes the 5,000 sf pool, changing rooms with showers, and the fitness center. There is also a reserveable private room, the Columbia. 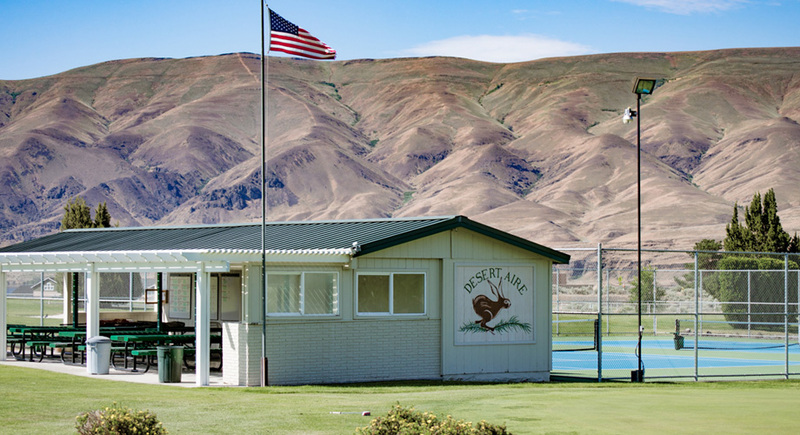 The recreation center is a separate facility from the Clubhouse located adjacent to Desert Aire’s 18-hole Golf Course. The pool is open to homeowners association members in good standing. Owners may register up to five guests aged 18 or older. Guests and renters must be registered by owners in order to receive access cards for the pool and other facilities. Guests will be asked to show card and photo I.D at time of use. Dates/Times: Open Memorial Day weekend through Labor Day weekend, 10am - 8pm, daily. Size and Amenities: Fully-fenced, 5,000 sf pool with three 75-foot lap lanes, a large zero entry wading pool with water dome, geyser, and Shower Water Fall features. Pool includes a “lazy river” area, excellent for water walking or just cooling off on a warm day. 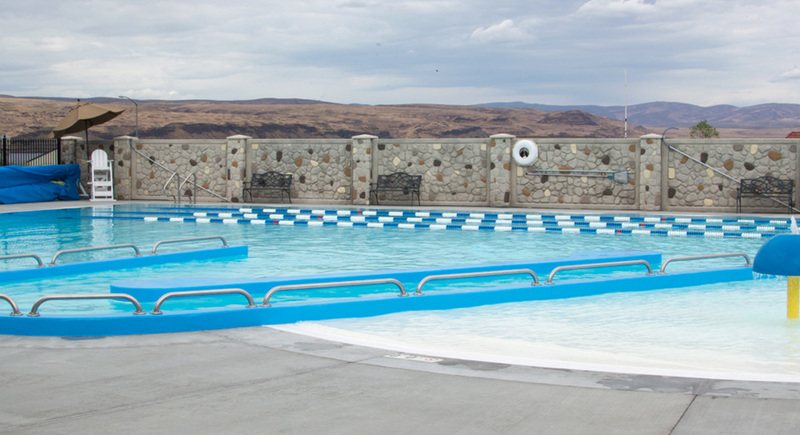 Energy-efficient Raypak® heat pump heating system targets a pool water temperature of 82-degrees F. An ultra violet light sterilizer system helps reduce use of chlorine and other chemicals needed to treat pool water. Restrictions: No lifeguard on-duty. Children under the age of 6 must be accompanied while in the water by an adult at least 18 years of age. Children under the age of 14 must be supervised at all times by a responsible adult at least 18 years of age. Equipment: Elliptical cross-trainer, free weights and weight benches, leg raise/dip, stationary bikes, treadmills and more. Days/Times: Open 24 hours daily, year-round. Restrictions: Open to homeowners and registered renters 18 years of age or older. Additional membership fee applies. The fitness center is not open to guests. Enjoy 2 regulation, medium speed, top-coated asphalt courts. Restrictions: Additional fee applies to guests using the courts. See Facility Rules/Guest Policy for details. Location: Located at Recreation Center. 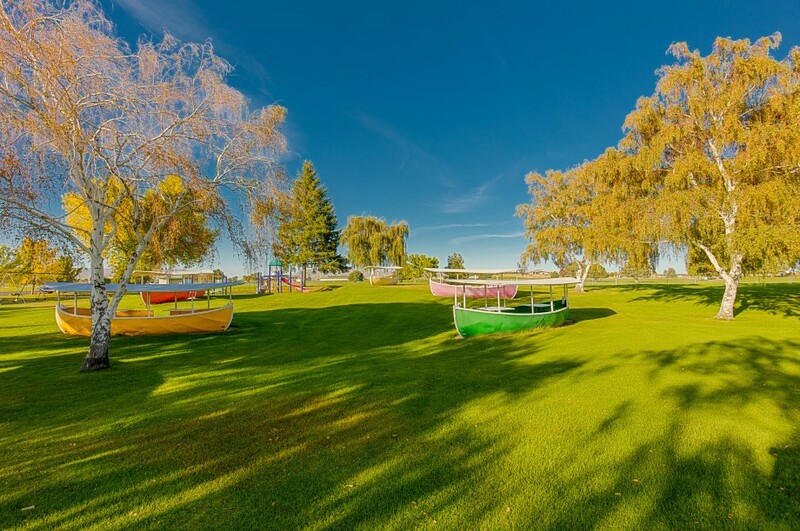 The irrigated grass community park is owned and maintained by the Desert Aire Owners Association. 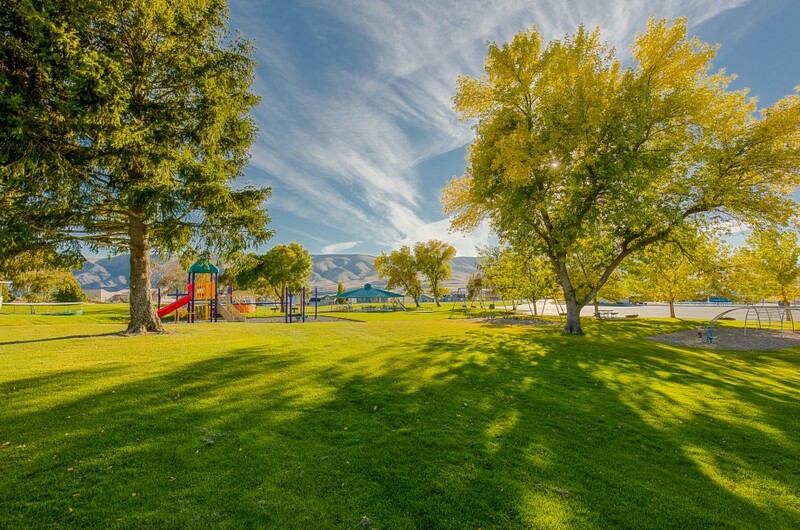 The park has delightful playgrounds, a large picnic shelter and restrooms. It is located across the parking lot from the Recreation Center. 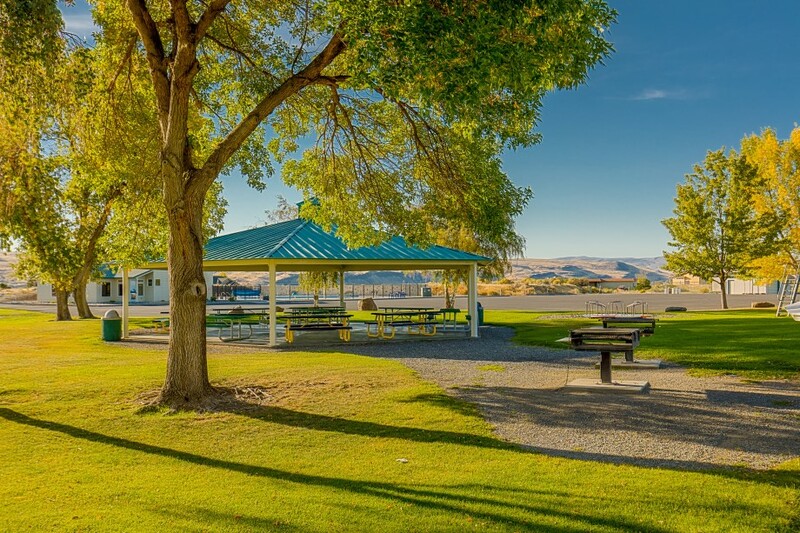 The park is open to the public year-round from dawn to dusk.